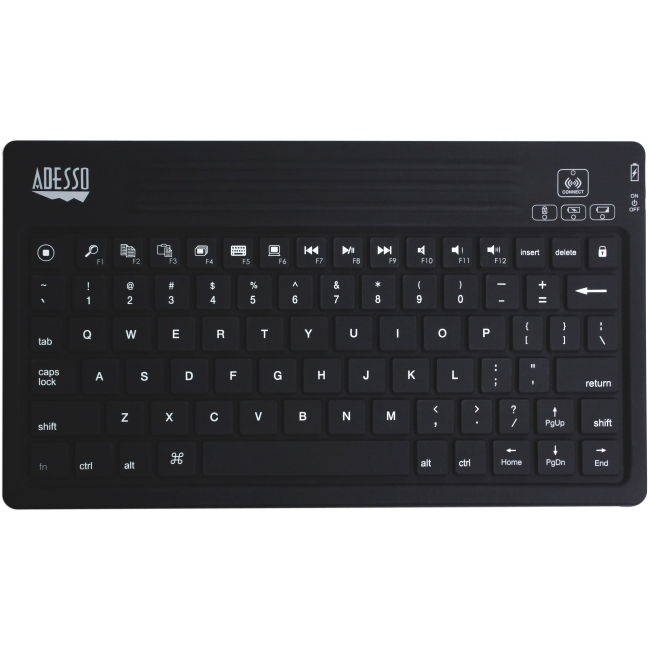 The Adesso Bluetooth 3.0 Mini Keyboard 2000 is the perfect companion for your iPad and other Bluetooth enabled devices. This Bluetooth 3.0 keyboard uses the latest wireless technology and is designed using a unique silicon material that protects your keyboard from unexpected spills and allows washing to eliminate germs. The silicon material also offers a faster and almost silent tactile response, so you can be productive without the extra noise. The keyboard includes a standard layout with iPad and Multimedia Hot Keys to access your iPad's shortcuts with one-touch. Along with all these great features, this keyboard is also compact and portable, so you can take it everywhere.